Some people love it, whilst others barely tolerate it. 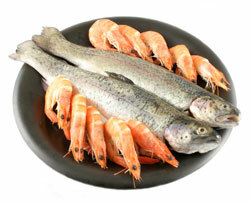 But there’s no doubt that fish is a very good source of nutrients and good fats that the body requires to stay healthy. While there are a tremendous amount of foods that provide a high source of bad fats, fish is among the foods that people are encouraged to eat at least once each week. The main reason why fish is highly recommended for people of all ages is because it’s among the top sources for good Omega-3 fatty acids. These fatty acids are said to have a tremendously positive effect on almost every part of your body from top to bottom. So, why is fish healthy for you? 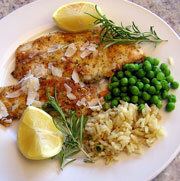 First and foremost, fish and its rich Omega-3 fatty acids are ideal for a healthy heart. Not only do they promote a healthy cardiovascular system, but they also improve and lower cholesterol levels for a healthy heart. If you include Omega-3 rich fish like Salmon and Trout in your diet about twice a week, you could significantly reduce the risk of heart disease and failure in the future. Fish combats many common problems that affect vision, especially for those over the age of 50. The main benefit of fish is directly related to macular degeneration, which is a problem that obscures vision in the central area of the eyes. The other two major types of problems that fish helps to combat are dry-eye syndrome and glaucoma, which is especially common for people over the age of 65. By including fish in their diets, older adults can stave off early signs and symptoms of eye disease. There are many lung-related ailments like asthma and allergies that people suffer from each year. Fish is known to help alleviate inflammation in the chest cavity and ease common symptoms like wheezing, coughing and shortness of breath. By doing something as simple as including healthy fish in your diet twice a week, you can greatly decrease allergy symptoms and asthma attacks each year. There are two main types of Omega-3 fatty acids, which are: Eicosapentaenoic Acid (EPA) and Docosahexaenoic Acid (DHA). While each fatty acid has a positive effect on the body’s system, it’s EPA that’s mostly responsible for healthy glowing skin. Fish can a great way to decrease irritation and inflammation from skin related conditions like chronic acne, eczema, cellulitis and psoriasis. Millions of people around the world suffer from arthritis. It’s one of the most common problems from inflammation of the joints and can easily be tamed with the Omega-3 fatty acids in fish. These fatty acids help reduce the inflammation and help joints move more freely. With so many health benefits from a simple dietary change like adding fish, I’m sure you’re no longer wondering why fish is good for you. But there are a couple of problems to watch our for. Not all fish are good sources of omega three fatty acids that give us such tremendous benefits. And sadly, the ones that are tend to be the highest in toxic pollutants such as mercury that we have carelessly dumped into our oceans. So Government advice is now not to eat more than 2 servings per week of fatty fish. And less than that for pregnant mothers. What’s The Alternative To Fish? If you just plain don’t like eating fish. Or if you are concerned about the levels of toxins now found in our fish stocks, then take a quality fish oil supplement instead. 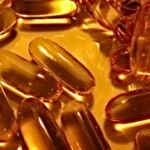 You can get all the goodness and benefits from a fish oil capsule, but without the toxins. But only if you buy carefully. Not all manufacturers filter the toxins out of their products. The fish oil supplement I use is properly filtered. But they also use fish from cleaner waters to start with. Home » Omega Three » Why Is Fish Healthy For You?